Growers of Conviction Seeds has been a long term project releasing its first seeds in 2004 to coincide with the 1st London Hemp Fair where their producer Philip Walsh with his then company Applewoods Hydroponica Limited (more commonly known as 'HYDROPONICA' had a stand. It originally opened for business selling Hydroponic equipment and Grow Lights / horticultural Lighting in October of 1997, on the recommendation of a Crown Court Judge. Actually he recommended its proprietor find a better outlook for his talents after police discovered 100 cannabis plants in his loft along with sweet peppers, strawberries and a lemon tree. It has traded from a number of locations since then the shop itself being widely known as HYDROPONICA *, including at the Garden Centre at Syon Park (2yr), The owners home (2yr), a warehouse in Hounslow, (2yr 6mth) Opposite the magistrates court in Brentford 5yr, the Space Station Storage facility Brentford (2yr) and finally back at the owners home. The company has moved away from High Street trading mostly due to Police harassment - each move being the result of a police raid or prompting one. Working from home has its own difficulties: concerns regarding supply to non-business premises within the hydroponic wholesale companies made running a full shop impossible! Applewoods hydroponica Limited no longer trades as a limited company and "Philip Walsh" now operates as a sole trader. As a company we are concentrating our efforts on the 'Growers of Conviction' range of seeds which are specially bred for Applewoods Hydroponica. These seeds are only created in small batches and have as a result a limited variety. They are sold fresh as regular seeds (male and female), we do not sell old seed stock! Seed production is currently being done in a location outside of the UK in an attempt to protect our genetics, refresh the seed stock and maintain viability - many strains and crosses have been lost over the years due to restrictions on growing them on. Please don't hesitate to contact us - The owner Philip Walsh is still available for person to person trade but only through a prior appointment basis. Items can be collected in person by prior appointment. 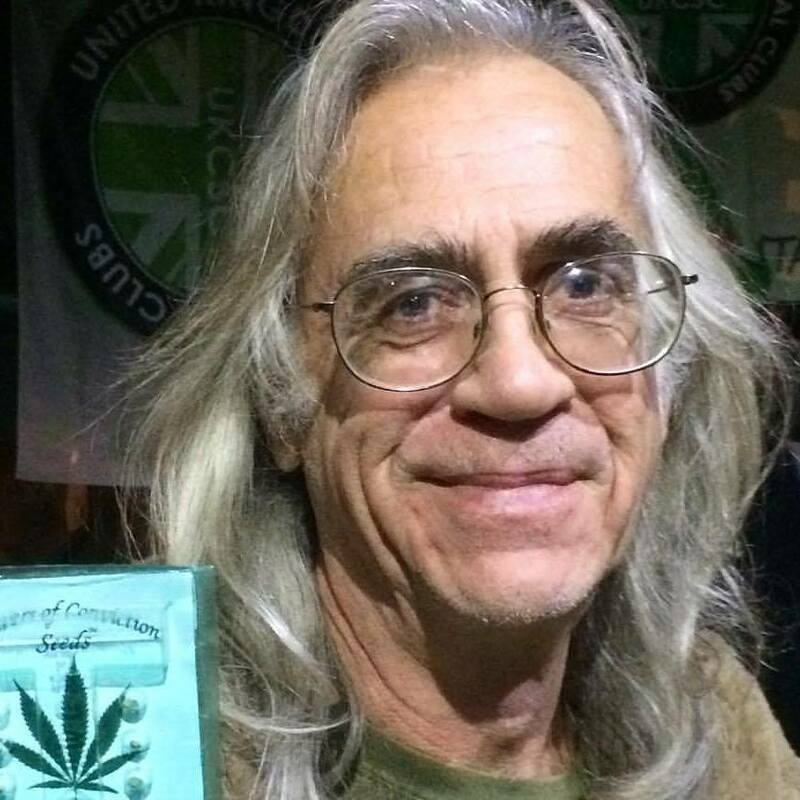 Growers of Convictions' founder Phil Walsh appeared on the BBC3 documentary "Cannabis: Britains Secret Farms" speaking about his own experiences with Cannabis and the law, contaminants, and his own seed collection and company. We have produced a sample 'Total Cannabiniod Profile' (TCP) for many of our seed strains, this lists the Cannabiniods (THC, CBD, CBN) and Terpenes (Limonene, beta Pinene, Eucalyptol etc - up to 22 terpenes can be measured if present), as found in a tested bud of the strain you are considering purchasing. This information can be found on the listing for each individual seed variety and can be downloaded as a PDF. Both terpenes and and canabiniods effect mood and ailments: the MYDX device references a data base of recorded effects from medical patients in the USA and uses this to give a 'suggestion' of how each stain may make you feel and which ailments may be helped by the particular plants' TCP. Please contact us for further information on our Cannabinoid / Terpene profile testing service. *A company in Yorkshire registered the name Hydroponica as a limited company, this company has no relationship to Applewoods Hydroponica, the Growers of Conviction seed brand, the original Hyroponica shops or Philip Walsh! **Germination of Growers of Conviction Seeds may be hazardous to your liberty. Please check your National Laws to avoid incarceration over the breaking of national drug fascism laws. Nothing in the above statements are intended as an encouragement to break any law no matter how morally bankrupt they may be.